A trio of researchers at Simon Fraser University in Canada theorizes that ritualistic finger amputation during the Upper Paleolithic explains the number of missing fingers in depictions from that time. In their paper published in the Journal of Paleolithic Archeology, Brea McCauley, David Maxwell and Mark Collard outline the reasons for their theory, even as they acknowledge more evidence is required to prove it. Archeologists studying art on walls by early humans of the Upper Paleolithic have found a lot of pictures of hands with missing fingers—much of the art consists of hand prints or outlines of hands. And a lot of those hands appear to be missing a finger or two, or even three or four. The researchers with this new effort note that rough conditions could account for missing fingers, particularly frostbite. But it seems like more fingers are missing than would seem likely—people learn not to let their fingers freeze, for example. Also, the missing-fingered art appears in some places that are too warm for widespread frostbite. The sheer numbers suggest something else is going on. In Grotte de Gargas, in France, for example, 114 out of 231 hand images have missing fingers. In another cave in France, the average is even higher, 28 out of 49. 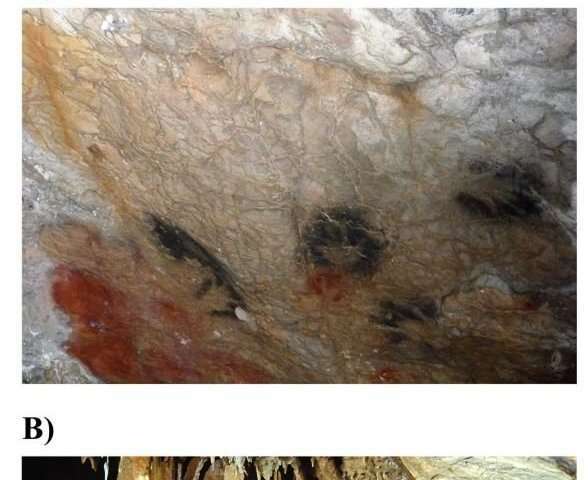 The researchers also note that hand paintings on the cave walls at Grotte de Gargas appear quite flat, ruling out the possibility that some fingers were simply held back as the print was being made. They also looked at history books and found that 121 groups of people living on different continents have been found to engage in finger amputation rituals. The researchers note that finger amputation rituals could take many forms—some early people might have done it as part of a religious ceremony or as a way to mourn the loss of a loved one. Others may have had it done to them as part of a punishment ritual. There is no way yet to prove that such rituals occurred, or that intentional cutting of fingers was carried out by people of the Upper Paleolithic, but the researchers contend that there is enough evidence to warrant further investigation. Um, isn't it still a feature of Japanese Yakusa and related crime-syndicate culture ? Yubitsume, or the cutting off of one's finger, is a form of penance or apology. If I remember correctly. that came out of historical practices of the Samurai sub-culture. Usually such exercises in self-mutilation & self-flagellation are common among zealot religious cults & clandestine extremist political fanatics. A less extreme example would be tattoos shared by military units, gangs, & similar group-bondings.